Chile (Spanish: República de Chile) is a country located on the southwestern coast of South America. The country is, for the most part, a long narrow strip that lies between the Pacific Ocean and the Andres mountains, although Chilean territory also includes a number of Pacific islands (Desventuradas, Easter Island, Juan Fernádez, and Salay y Gómez), and Chile has made claims to a portion of the Antarctic. The country's land borders are with Argentina, Bolivia, and Peru. As of 2010, the country's population was estimated as being 17,063,000. 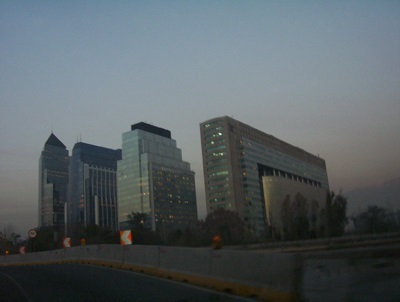 The country's capital and largest city is Santiago which is home to nearly 5.3 million people in the city itself, and around 7.2 million in the total metropolitan area. Chile has a modern and successful market-economy including a significant level of foreign trade. Although there have been occasional problems, for the most part, the country has sustained high levels of growth for many years. The basis for the country's economic success was laid by sound economic policies that have been consistently pursued for many years (these economic policies having been initially introduced during the period of military rule between 1973 and 1990), as well as high levels of domestic savings and investment, and free trade agreements with an increasing number of countries. The Perfect Choice: Lonely Planet’s Chile & Easter Island is our most comprehensive guide to Chile and Easter Island, and is designed to immerse you in the culture and help you discover the best sights and get off the beaten track. An unbeatable guide to the diverse landscape, history, and activities in Chile and Easter Island, from touring Chilean vineyards and stargazing in the Atacama Desert, to exploring the glaciers of the Torres del Paine National Park in Patagonia and admiring Rapa Nui's moai statues. This guide is packed with photos and maps, insider tips, useful advice, and information. You'll find listings for a variety of authentic restaurants and a guide to where to stay in Santiago and the rest of the country, including the best boutique hotels that Chile has to offer. Unique illustrations, stunning photography, and detailed maps make this guide the essential companion to your trip to the country. With hundreds of full-color photographs, hand-drawn illustrations, and custom maps that illuminate every page, DK Eyewitness Travel Guide: Chile & Easter Island truly shows you this city as no one else can. Squeezed between the Andes Mountains and the Pacific Ocean, Chile offers something for everyone. Whether travelers are interested in first-rate vineyards, glittery beach resorts, desert adventures, sprawling glaciers, or the urban pleasures and inventive cuisine of Santiago, Fodor's Chile helps them craft the perfect itinerary for this diverse country. •UP-TO-DATE COVERAGE: New restaurant and hotel listings have been added throughout to keep pace with the latest developments in this rapidly evolving country. •SPECIAL FEATURES: Chile is one of the most geographically diverse destinations on earth, and Fodor's Chile helps travelers explore the varied regions with special sections on Patagonian and Antarctic cruises, fly fishing, top beaches, and regional itineraries. •INDISPENSABLE TRIP PLANNING TOOLS: Each chapter opens with an orientation spread and planner that includes a map, short descriptions of each region, "Top Reasons to Go," and information on getting here and around. Top Experiences, ample tour options, and sample itineraries make it easy for travelers to plan a vacation to Chile. •DISCERNING RECOMMENDATIONS: Fodor's Chile offers savvy advice and recommendations from local writers to help travelers make the most of their visit. Fodor's Choice designates our best picks in every category. •COVERS: Santiago, Valparaiso, Patagonia, Torres del Paine National Park, San Pedro de Atacama, Chiloé, Easter Island, Viña del Mar, the Chilean wine valleys, and more. Patagonia's staggering landscapes, titanic glaciers, and rugged mountains evoke mystery and inspire self-discovery. Explore the ends of the earth with Moon Patagonia. With Moon Patagonia's practical tips, myriad activities, and an insider's view on the best things to do and see, you can plan your trip your way. Discover this dazzling, diverse South American country with the liveliest and most comprehensive guidebook on the market. Whether you plan to sail around the glaciers of Patagonia or soak your bones in volcanic hot springs, taste wines in the picturesque Maule Valley or wonder at the mysterious Easter Island moai, The Rough Guide to Chile and Easter Island will show you the ideal places to sleep, eat, drink, shop and visit along the way. • Independent, trusted reviews written with Rough Guides’ trademark blend of humour, honesty and insight, to help you get the most out of your visit, with options to suit every budget. • Full-colour chapter maps throughout – so you can explore Torres del Paine National Park or the lively towns of Santiago and Valparaíso without needing to get online. • Stunning images – a rich collection of inspiring colour photography. • Things not to miss – Rough Guides’ rundown of the best sights and experiences in Chile and Easter Island. • Itineraries – carefully planned routes to help you organize your trip. • Detailed coverage – this travel guide has in-depth practical advice for every step of the way. Basics – essential pre-departure practical information including getting there, local transport, accommodation, food and drink, festivals and events, sports and outdoor activities, national parks, shopping and more. • Background information – a Contexts chapter devoted to history, landscape and the environment, recommended books, music and Chilean Spanish. 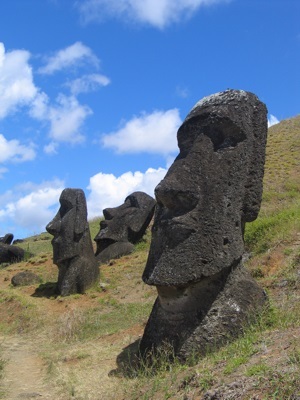 Make the Most of Your Time on Earth with The Rough Guide to Chile and Easter Island. Written by locals, Fodor’s Essential Argentina is the perfect guidebook for those looking for insider tips to make the most out their visit to Argentina. Complete with detailed maps and concise descriptions, this travel guide will help you plan your trip with ease. Join Fodor’s in exploring one of the most exciting countries in South America. From the scenic Mendoza wineries in the foothills of the Andes, to the cultural riches of Buenos Aires, to the gorgeous glacial terrain of Patagonia, Argentina offers experiences for all types of travelers. Whether you plan to marvel at the spectacular waterfalls of Iguazu Falls or the craggy, colorful hills in the Quebrada de Humahuaca, or you want to tango the night away in Buenos Aires, catch a fiery local soccer game, or try wind-skiing in Patagonia, Fodor's Essential Argentina helps travelers take in the most memorable sights and experiences of this culturally and geographically rich country. •UP-TO-DATE COVERAGE: Fully updated coverage of neighborhoods, must-see attractions, hotels, restaurants, nightlife, shopping, and more. New restaurants and hotels throughout Argentina showcase the best options at different price points and categories. •ULTIMATE EXPERIENCES GUIDE: A brief introduction and spectacular color photos capture the ultimate experiences and attractions throughout Argentina. •GORGEOUS PHOTOS , DETAILED MAPS AND ILLUSTRATED FEATURES: In-depth illustrated features cover iconic sights and experiences like Iguazu Falls, the Quebrada de Humahuaca, tango, gaucho country, Mendoza’s wineries, fly fishing, and Patagonian adventures. Additional features explore Argentina’s rich history. Additional, full-color photos and full-size street maps throughout help to inspire your must-see list and help you get around. •ITINERARIES AND RECOMMENDATIONS: Check out the Great Itineraries section to help plan your time, whether its focus is Buenos Aires with time to take in waterfalls and wine or an itinerary that focuses on making your way to Patagonia. Entire chapters dedicated each to Side Trips from Buenos Aires and Side Trips to Uruguay helps you decide where to focus your time. Includes tips on where to eat, stay, and shop as well as information about nightlife, sports, and the outdoors. Fodor's Choice designates our best picks in every category. •INDISPENSABLE TRIP-PLANNING TOOLS: Planners give useful, practical overviews of important travel information. A Calendar of Events helps visitors choose the best time to plan a visit around special festivals, parades, and events. Tips on Argentine wine, steak, markets, and sporting life give useful tools to dive into the culture. •COVERS: Buenos Aires, Mendoza, Salta, the Lake District, Iguazu Falls, Quebrada de Humahuaca, the wine regions, Colonia del Sacramento in Uruguay, and Patagonia. Planning on visiting more of South America? Check out Fodor’s Chile and Fodor’s Peru. This is the first guidebook focused entirely on the magnificent and historic road uniting northern and southern Patagonia. The few hardy travellers that embark on this journey struggle to find even basic information about the region. The book provides visitors to the often-visited Bariloche and Chilean Lake District with a spectacular alternative means to reach the southern extremes of Patagonia.The road passes through world-class national parks. It stretches from the high Andes to the remote Pacific coast, fed by five great rivers, countless fjords and the largest ice fields outside of Antarctica and Greenland. Trekking options abound, including to and from neighbouring Argentina through pristine wilderness. The region is home to a sub-tropical rainforest, secluded villages without vehicles, picturesque lakes, dramatic and often active volcanoes, and sufficient activities to satisfy even the most adventurous visitors. In addition to practical advice, the book explores the mythical history of a region cut-off from the outside world, and the social and economic impact of the relatively recent connectivity to both mainland Chile and Argentina. Travelling in one of the last unknown regions of South America is challenging, and this book facilitates such travel for those wishing to escape the "gringo trail."